Here is the photo with extra print materials to promote the issue, the traditional "The Worst Micky ...MAO in Town!!!" poster, flyers and cards. 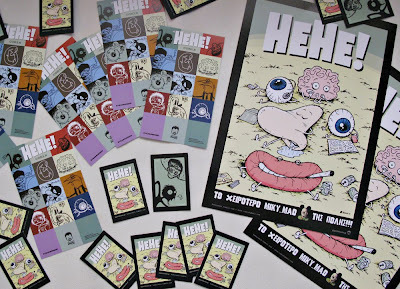 All these can be found at the stand of Gigantobooks on the ground floor at Comicdom Con Athens 2010 - 16, 17 & 18 April.